Meet Piper, one of our travel experts for Maldives. Piper is the founder of honeymoon specialty travel company Remarkable Honeymoons, and an award-winning agent with almost 30 years experience. Sail, dive, surf, or just take in views of the endless sky and sea from your traditional beachfront bungalow. On this lush garden island, everything you need is close at hand. Photo copyright Four Seasons Kuda Huraa Maldives. 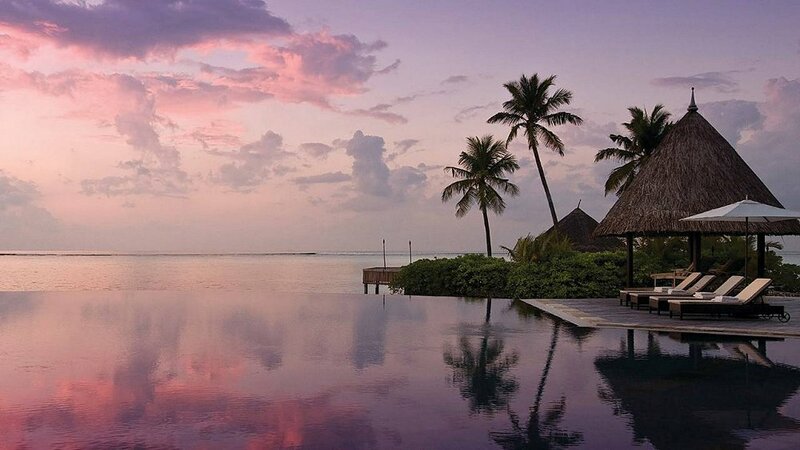 Four Seasons Resort Maldives at Kuda Huraa where an unforgettable Maldives adventure on a private coral island, fringed with white sand and crystal water awaits. Palm-thatched bungalows dip their feet into a turquoise sea. An island spa offers soothing Asian secrets. Sunrise, sunshine and sunset paint the endless sky. Choose from a wide variety of short, half-day and full-day guided activities, from island-hopping by seaplane to a traditional Baraabaru cooking class. Our infinity-edge freshwater swimming pool and half-metre children's pool ensure that the whole family can easily cool off. Learn to appreciate to majesty of the coral reefs and, if you like, participate in some of the Resort's many conservation projects. Take advantage of our natural surroundings on parasail, jet ski and underwater scooter, or try one of our many snorkeling and fishing options. Malé is the capital of the Republic of Maldives, an island 2 kilometres (1.2 miles) long and 1 kilometre (0.6 mile) wide. Though built to the edge, Malé is clean and quaint, with markets, mosques and a maze of small streets that approximately 103,000 people call home. A pleasant 25-minute speedboat ride from Malé International Airport, visitors are welcomed to the enchanting island of Kuda Huraa, where Four Seasons awaits.